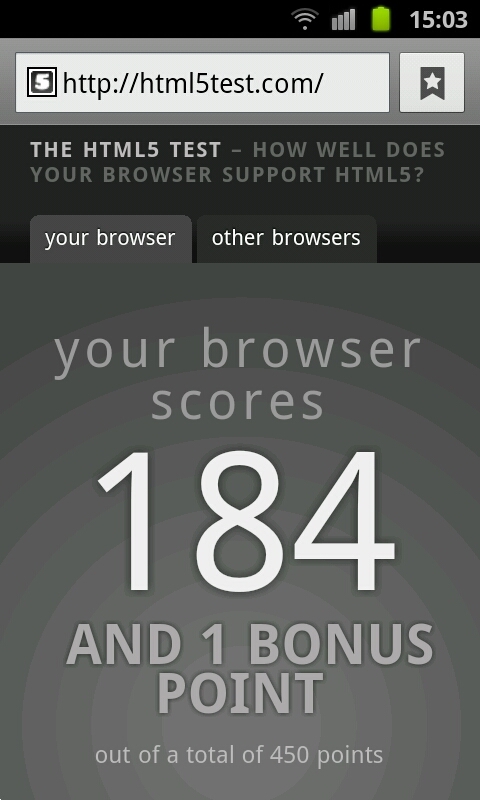 Nokia N9 browser HTML5 tests – score outperforming iPad 2, SGSII and some desktop browsers? p.s. NO flash. MeeGo’s browser has a lot to live up to. Maemo 5’s MicroB was hands down the best browser of its time (and still wipes the floor with some, especially Symbian’s – yes including Anna). Nok Conv notes that Nokia were trying to create a mainstream browser that “doesn’t annoy”, working the way a user would expect. Oh and Nokia says the performance is BLAZINGLY FAST. Note that the test does admit shortcomings in not being able to test all features of HTML5 but sufficiently as they believe to be relevant for testing. 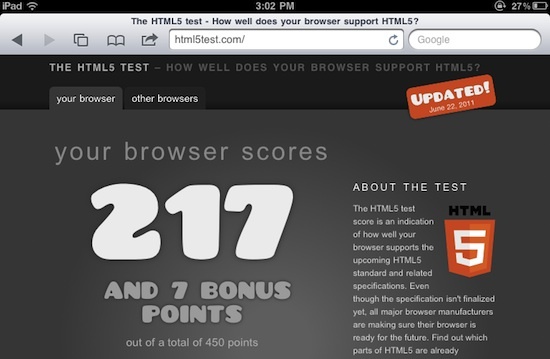 N9’s current HTML5 score is only 3 points less than my desktop firefox 5.0 browser. I think I have I.E.9 and that oddly scores just 62. 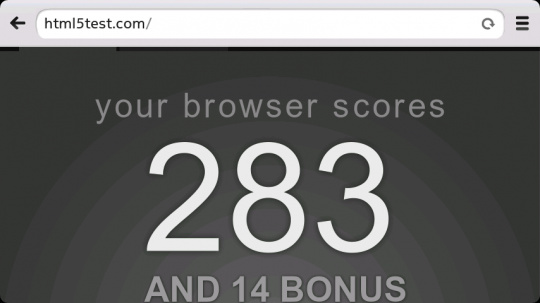 I got 328 with Chrome. I can’t find the score for Windows Phone. I think during Mango previews, MS were proud to show IE9 whipping the butts off iOS, Android and BlackBerry. text enlargement allowing the size of the text to increase without increasing the size of other elements on the page. Top sites – that lists frequently visited sites. I wonder if we can get to install some browsers of our own that does flash? I’ve grown to live without this on my Windows Phone. It would be nicer though to have the full web, but well Nokia-MeeGo team must have thought this was also ok to leave out. Embedded videos – do we see a blank or do we see a player? Here’s a demo of the browser in video from MichaelxHell. Most of the points I’ve listed above are shown, some I’m not sure – e.g. embed videos, what happens.